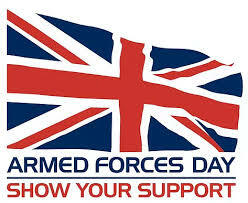 The Northampton Branch of the Royal British Legion has invited us to display at Armed Forces Day event on Saturday, June 29, on Northampton Market Square.. There will be a parade at 10.30am so MVs will need to be in place well before then. If you are interested, contact Tim Cross. 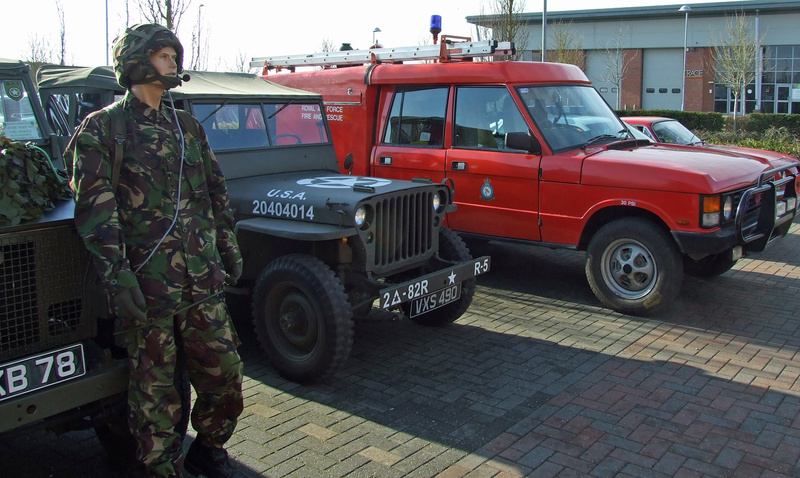 Tim Webster is selling his Range Rover TACR2 fire appliance due to far too many projects. Call him on 07857 461166. It served at RAF Valley when the Hawker Hunters were there in the late 1980s. The team behind Harborough at War is holding monthly classic car meets at Harborough Innovation Centre and , of course. MVs are more than welcome. They are on the third Sunday of each month and refreshments are available. There is a charge of £3 per vehicle to defray costs. The address is: Airfield Business Park, Leicester Rd, Market Harborough LE16 7WB. 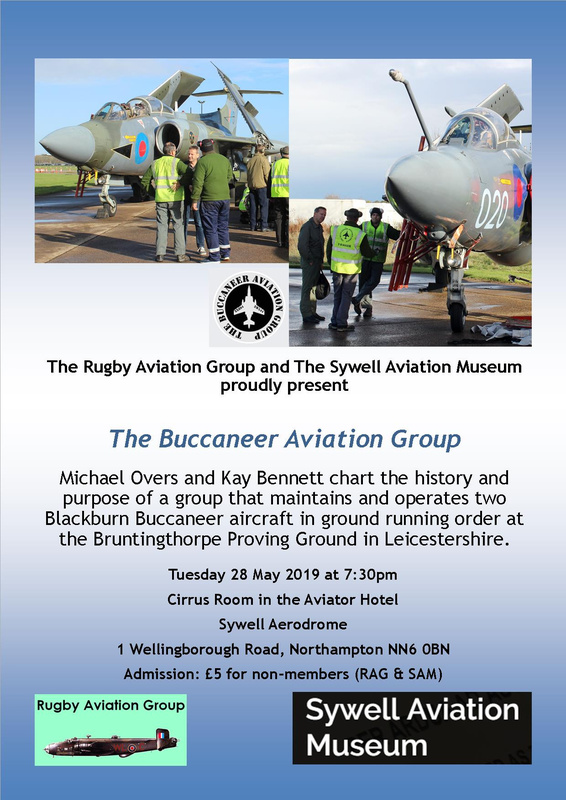 An extra talk at Sywell on Tuesday, May 28, has been jointly arranged with the Rugby Aviation Group. 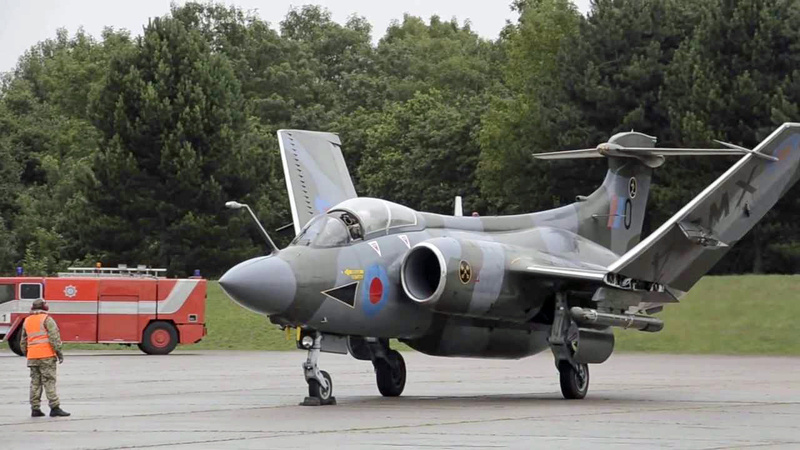 The speakers are Mike Overs and Kay Bennett of The Buccaneer Aviation Group, which operates and taxis two Buccaneers at Bruntingthorpe (a third Bucc is awaiting engines). Admission fee: £5. Poster is below. The big local kick-off to the season was the opening of Sywell Aviation Museum on Easter Saturday. 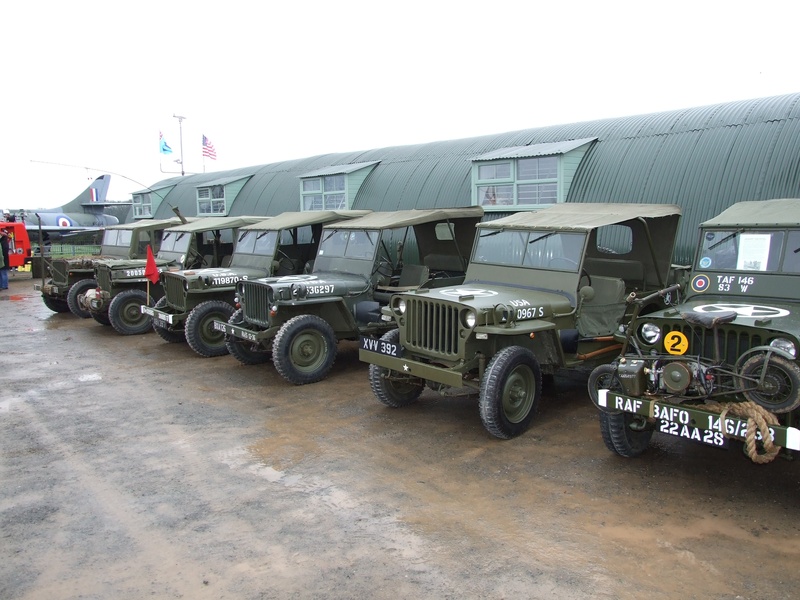 Our monthly meetings are held at Sywell Aerodrome and we have always had a close relationship with the museum, with several members belonging both the MVT and the museum. Blistering mid-20s temperatures meant a big turn-out of both MVs and the public with the highlight being the unveiling of the recently restored and repainted Hawker Hunter F2. Other aircraft arriving for the day included two Harvards, a Miles Magister, Chipmunk and various Tiger Moths. On the ground no less than 26 Jeeps – including an ultra-rare four-wheel-steer version - were joined by two GMCs, a Dodge Ram, UAZ, Land Rover Lightweight, Range Rover TACR2 fire engine, Daimler Ferret, Land Rover Pulse Ambulance, two Dodge Weapons Carriers, two Dodge Command Cars, Bedford Green Goddess, Austin Champ, BSA Parabike, Harley-Davidson MT350, Harley-Davidson WLC, Karrier K6, BSA WM20 and two White Scout Cars. 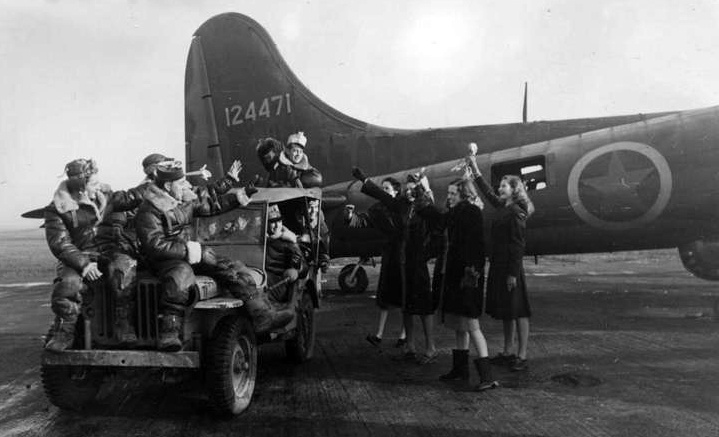 A bomber crew of the 306th Bomb Group wave to Picture Post Girls in front of a B-17 Flying Fortress (serial number 41-24471) nicknamed "Four of a Kind" at Thurleigh in December 1942. The 306th Bomb Group of the United States Army Air Force was stationed at Thurleigh Airfield from the autumn of 1942 until the autumn of 1945. At the time Ralph Franklin was a small boy living at Keysoe and like most of his generation, collected any “war souvenirs” he could lay his hands on and living close to Thurleigh, naturally took a great interest in the 306th. With the cessation of hostilities his enthusiasm became a life-long interest and his collection of wartime artefacts continued to grow. 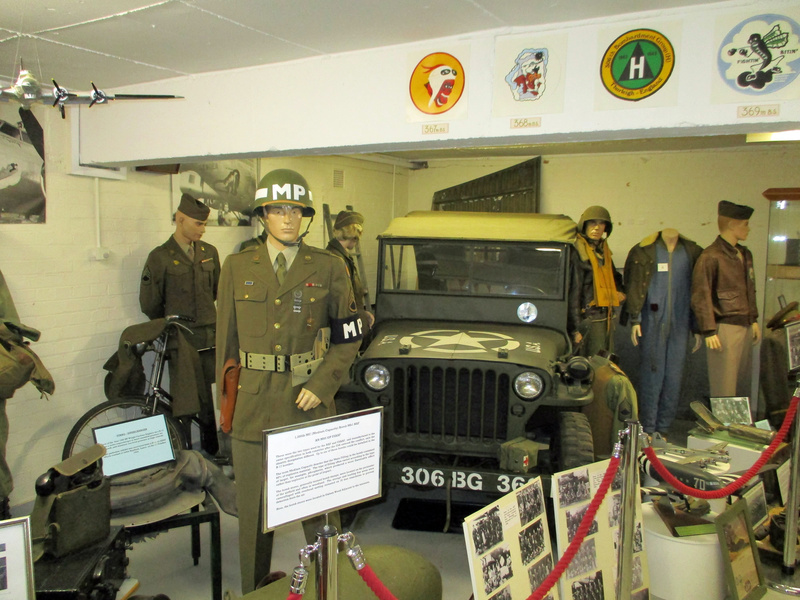 Through the generosity of Palmersport, Ralph was given the use of an ex-wartime “explosives store” building on Thurleigh Airfield to accommodate his collection and here he created and subsequently opened to the public a museum which has since become the excellent World War Two Museum which it now is. Recently, through ill-health, Ralph became no longer able to carry any further responsibility for the Museum and its future was placed in serious jeopardy. However a number of Museum “friends” got together and have formed a volunteer management group with the objectives of firstly ensuring the continuing existence of the Museum and secondly seeking arrangements whereby it can continue to be accessible to the visiting public. With the continuing support of Palmersport, the plan is to open the museum to the public on each Sunday throughout the summer of 2019, starting on Sunday, May 5.. Opening times will be 10am to 4pm. Before undertaking a visit, a check by telephone to 01234 771984 or email to clivebobcarroll@yahoo.co.uk is advised. 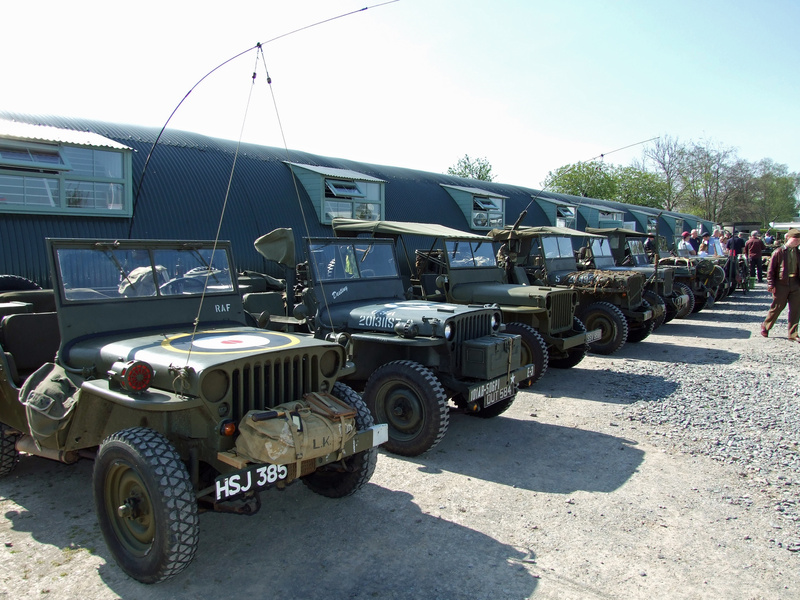 We have been invited to a car and bike show at RAF Croughton, near Brackley, NN13 5XP, on Saturday, June 15. There will be a barbecue and other attractions. 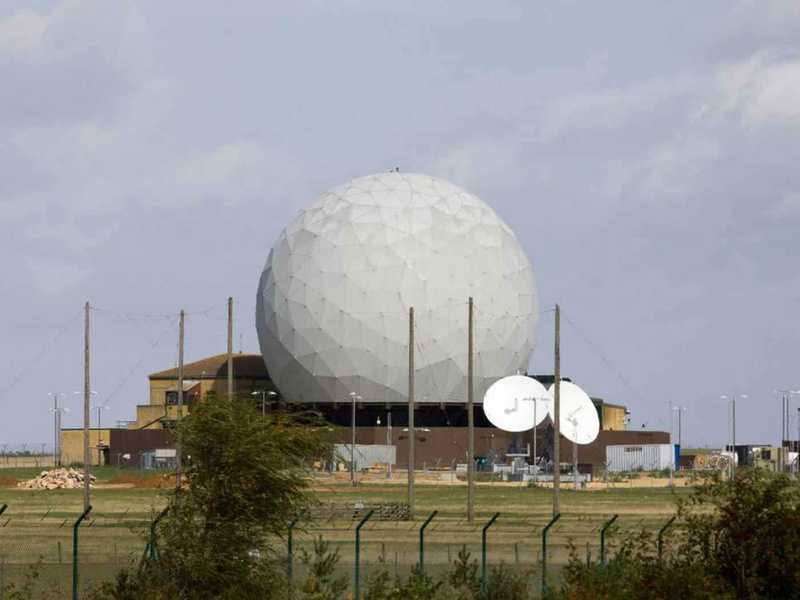 As this is a sensitive, working military base, pre-booking is essential. Email the SEM Webmaster on petegerry@btinternet.com for information on booking. NB: Booking MUST be made before May 1. 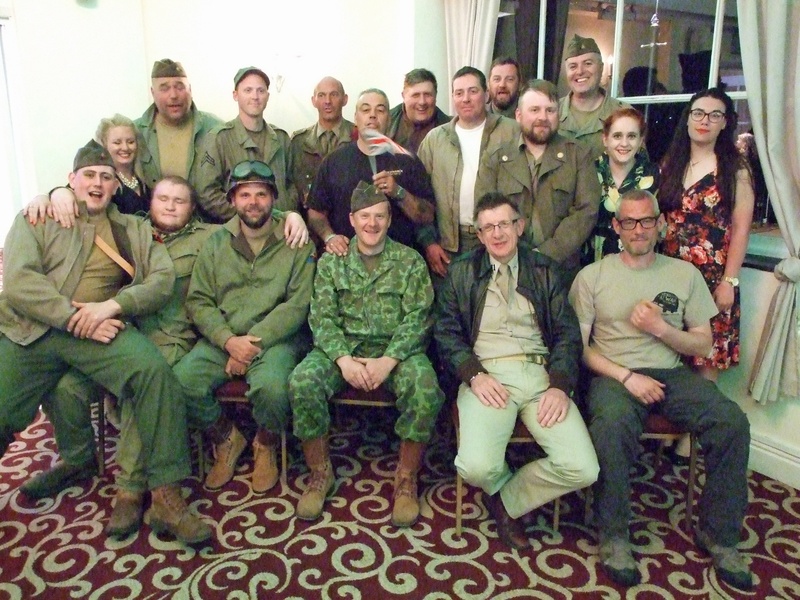 The South East Midlands Area team which brought you Wicksteed at War is in 2019 supporting Harborough at War, a multi-era war re-enactment, and living history spectacular! Based at Market Harborough Showground, a former WW2 airfield , off Gallowfield Road, Market Harborough, it's the first event of its kind for the area, taking place on the August 3-4, 2019. It will feature re-enactment groups, living history groups, military vehicles, battle simulations, displays, trade stalls etc. As there is no Wicksteed at War in 2019, due to the Normandy events, this will be the main show for our area. More details here later and on the Harborough at War Facebook page. 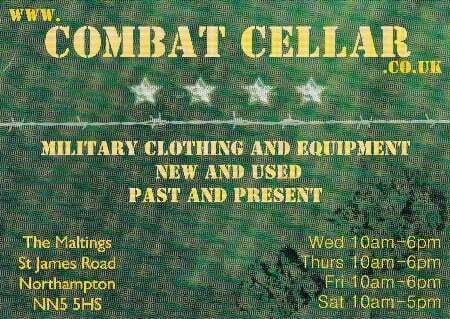 An Army surplus and military clothing and equipment store in Northampton is offering a 10 per cent discount for MVT members on production of your member ship card. If you consider yourself in the South East Midlands Area, it is vital that you affiliate yourself to the area. Only those who have affiliated can stand for office, vote at meetings or take part in the mileage award. It's easy to do, just go onto the main MVT website (www.mvt.org.uk) and click on the "Membership/join" tab. Then click on "Affiliation Form" tab. Fill in the form, selecting "South East Midlands", tick the "I'm not a robot" square and submit it. It only takes a few minutes. Our meetings are usually held at the Aviator pub, Sywell Aerodrome, near Northampton, at 8pm on the first Thursday of the month (but not January). Just go into the bar and ask for directions to the MVT meeting room. Check first with the Diary section in case the venue or date has changed. 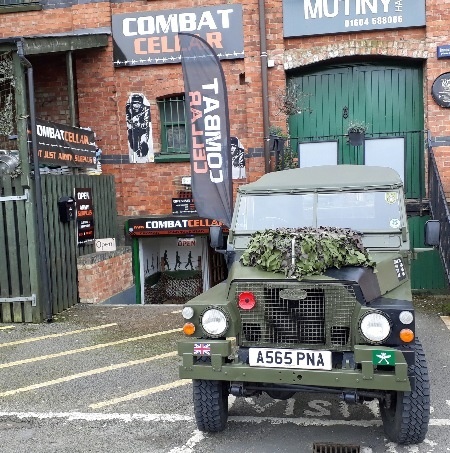 Opinions expressed on this website are those of the authors and not necessarily of the Military Vehicle Trust or the MVT South East Midlands Area.